One catagory Netflix is trying to dominate is Anime. At an event earlier today in Tokyo, the streaming giant released a few titles that will be coming to Netflix such as Fate/Apocrypha and Devilman. Headlining the selection is the 1980's cultural phenomenon Saint Seiya. 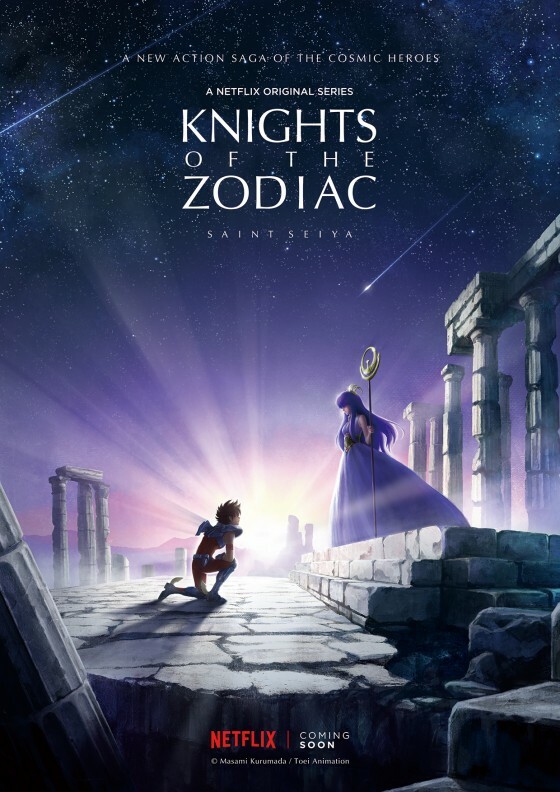 Where it found huge success in France and Latin America titled Les Chevaliers du Zodiaque and Los Caballeros del Zodiaco. Saint Seiya will feature 12 episodes completely done in CGI from Toei Animation, which has been responsible for previous Saint Seiya releases. Needless to say, the adventure with heavy ties to greek mythology is still widely popular. Other releases such as Fate/Aprocrypha will be part of the Fate/Stay Night series, a Godzilla animation and some original content. Here are some of the trailers for the upcoming Netflix Anime! Depending on your location, the Original Saint Seiya is currently on Netflix, as well as the Fate/Stay Night Series. « Will The Big Bang Theory End After Season 12?